San Vicente de la Barquera is home to two beaches for surfing. 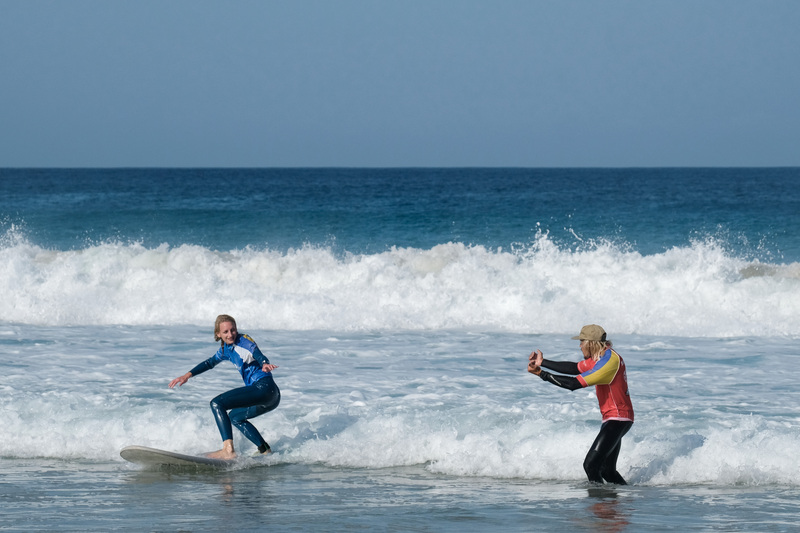 The first is just 80m from our surf camp, has consistently great waves and is where our surf lessons usually take place. However, on the rare occasion that the waves get too big here, we teach our lessons on the second beach, namely Oyambre beach. Thus, no matter what the surf conditions, there is a break where we can safely teach our surf lessons at. Our surf camp in San Vicente offers lessons for all abilities, whether you’ve never surfed before, or are working on your advanced manoeuvres. 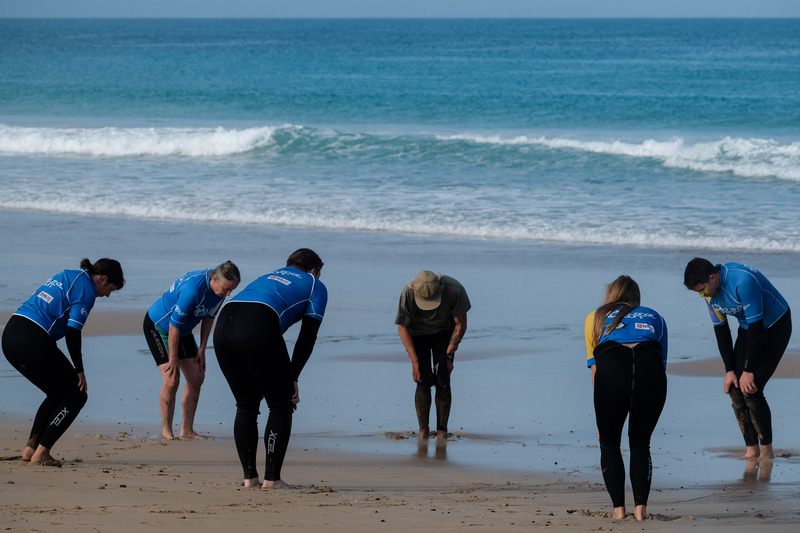 Students are allocated into groups based on their ability level, meaning that you are surfing with others of similar ability, to maximise your progress and ensure your safety in the water. 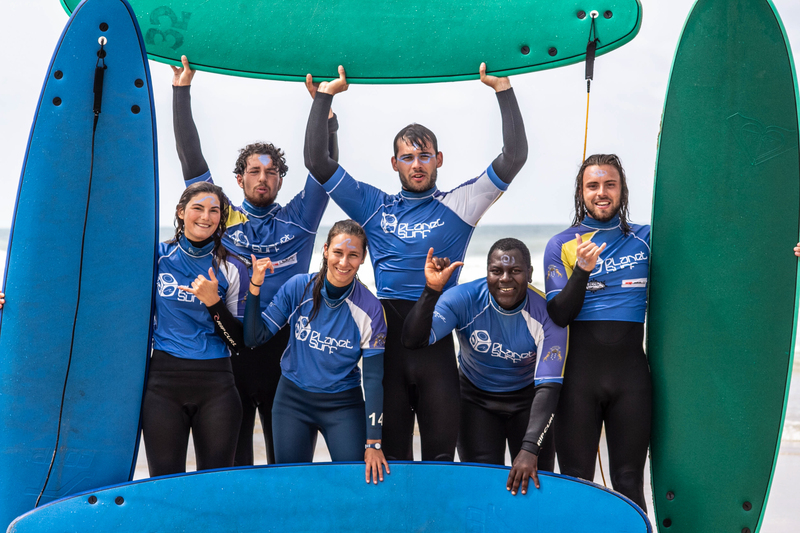 Lessons are taken with a maximum of eight students per instructor, and all of our surf instructors hold an official licence to instruct. 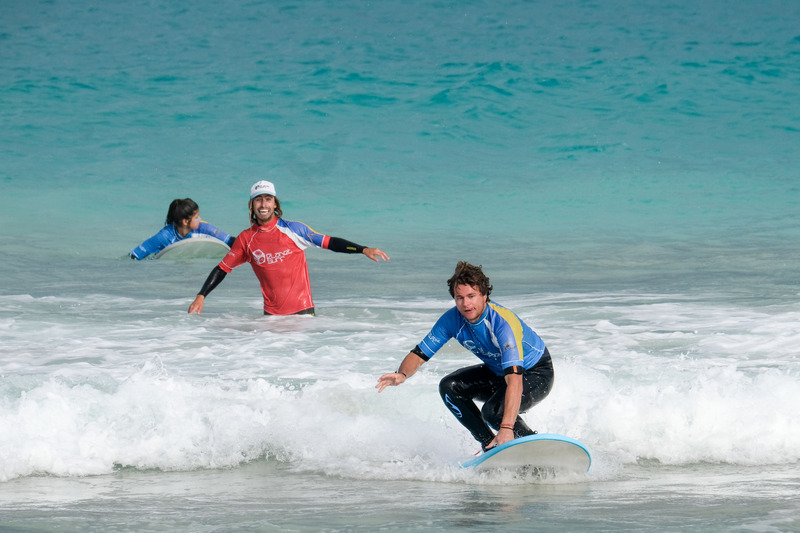 Our surf lesson programmes consist of 24 surf lessons each week, with each lesson lasting 45 minutes. 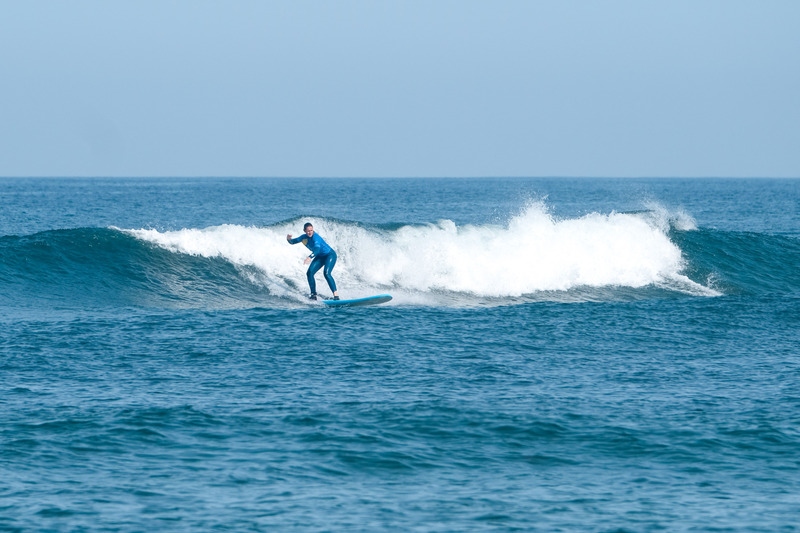 Thus, lessons are grouped into sessions, and you will thus usually take four lessons of 45 minutes each day, for six days, giving you three hours of tuition with one of our experienced surf instructors per day. 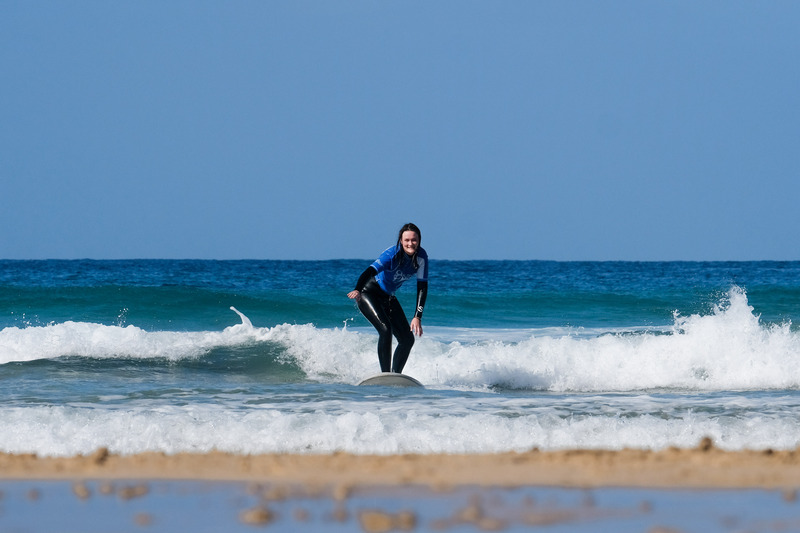 If you want to surf outside of the lesson times too, you need not worry as we provide free, unlimited board and wetsuit hire for the duration of your stay. If you’ve never surfed before but are keen to learn how, then our beginner course is made for you! Over the course of the 24 lessons, our instructors will get you up and standing on the board, and surfing in the whitewash. You’ll learn the correct technique from your first lesson and our instructors will ensure that learning to surf is a lot of fun! 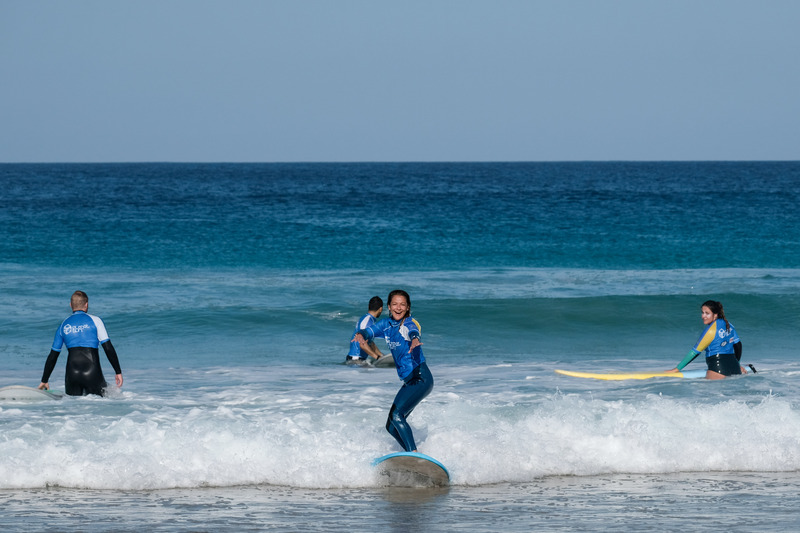 They will also teach you the basic theoretical knowledge of how the waves work and the surfing etiquette of the sea, to heighten your understanding and allow you to surf safely. If you’ve never surfed before, the beautiful beach break of San Vicente is an ideal place to learn! 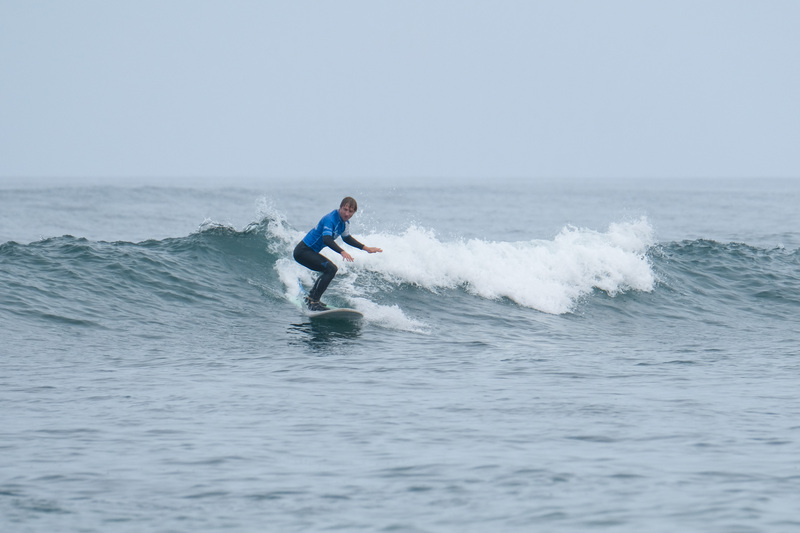 If you already have some prior surfing experience, but are still relatively new to the sport, then our intermediate surf lesson course is the one for you! You’ll progress your surfing under the watchful eye of your instructor, and move on from just surfing the whitewash, to surfing the green, unbroken waves. 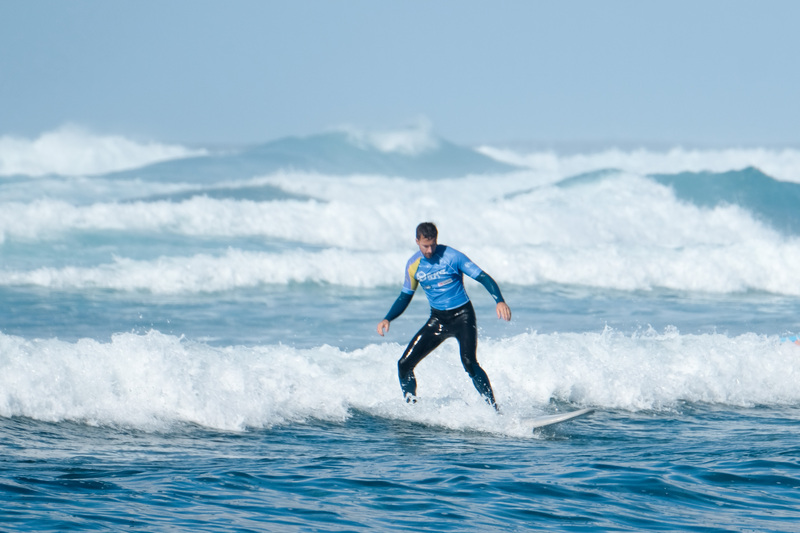 Over the course of the 24 lessons, your instructor will teach you how to confidently and safely surf ‘out-back’, as well as to how to begin to turn on the waves. Take your surfing to the next level with our intermediate level surf course in San Vicente de la Barquera! 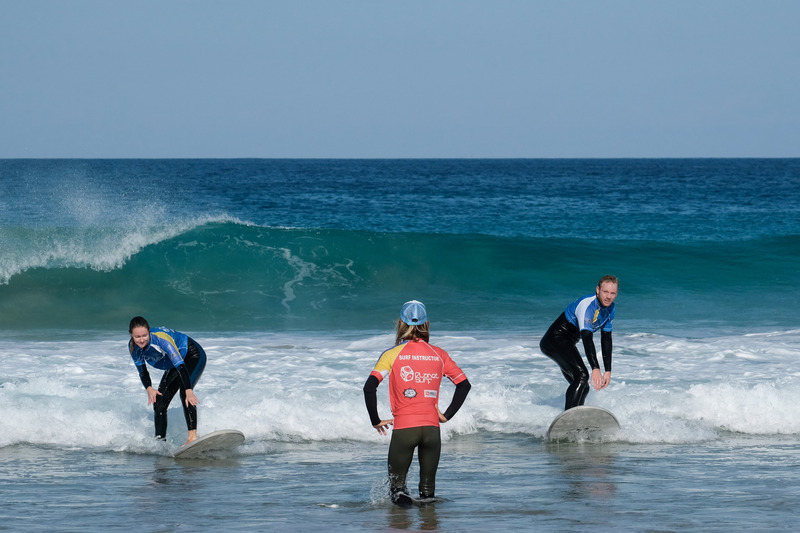 For surfers who are already comfortable in surfing green waves of up to 1.5m there is our advanced surf lesson programme. Over the course of 24 surf lessons per week, your experienced instructor will work with you to progress your manoeuvres on the waves. Gain greater control on the board, iron out any bad habits and see your surfing progress leaps and bounds! If you’re looking for professional coaching to improve your surfing, then come join our advanced surf lesson programme in San Vicente this summer! For those who the idea of 3 hours of surfing per day seems a bit too much, we offer our chill and surf lesson package. Over the course of the week you’ll enjoy 14 surf lessons of 45 minutes allowing you to work on your surfing, but also have plenty of time to relax and explore the local area. If your idea of the perfect surf holiday is mainly chilling with some surfing chucked in too, then our chill and surf package is the ideal choice for you! Whatever your surf experience, our instructors in San Vicente can’t wait to help you improve your surfing and have lots of fun in the lessons with you this summer!